This book made me happy. 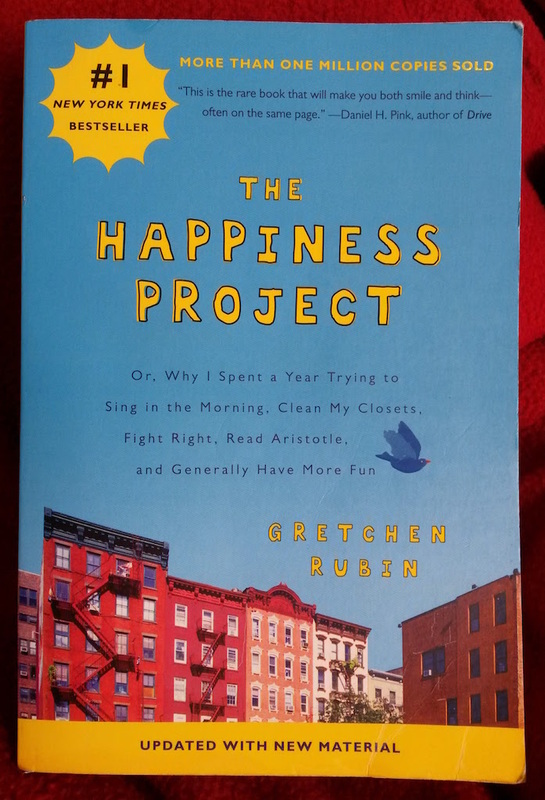 Gretchen Rubin did her research, found out every possible method for becoming more happy, and then spent a year trying them all out. In the end she decides it has worked — she is happier — and she evaluates which methods worked best for her. She’s read a stack of popular psychology books and self-help guides, so we won’t have to. The thing that works best for her is a resolutions chart: for example, she’ll resolve to sing every morning, and then put a checkmark on the chart every morning when she remembers to sing. She says that was the best thing because it helped her get other things done, but mainly because it was so satisfying to award herself a checkmark and to look back on the month and see all the evidence of resolutions kept. It’s interesting that this technique, often recommended to help children remember to brush their teeth or put their clothes away, can also work well with adults. I bet Rubin had very clean teeth as a child, and probably still does.